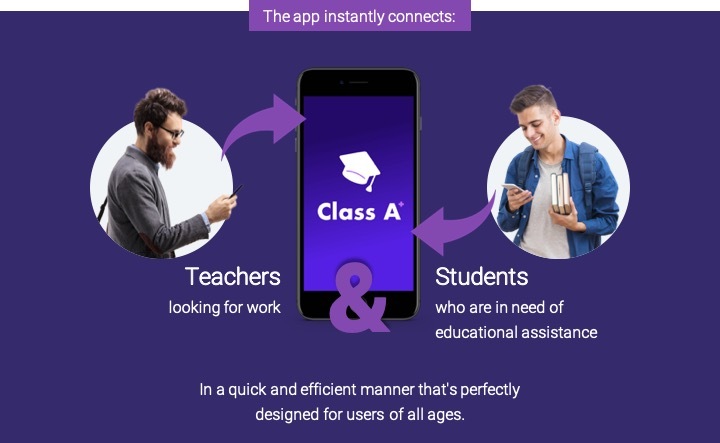 Our solution is a GPS-based mobile app for both teachers and students. 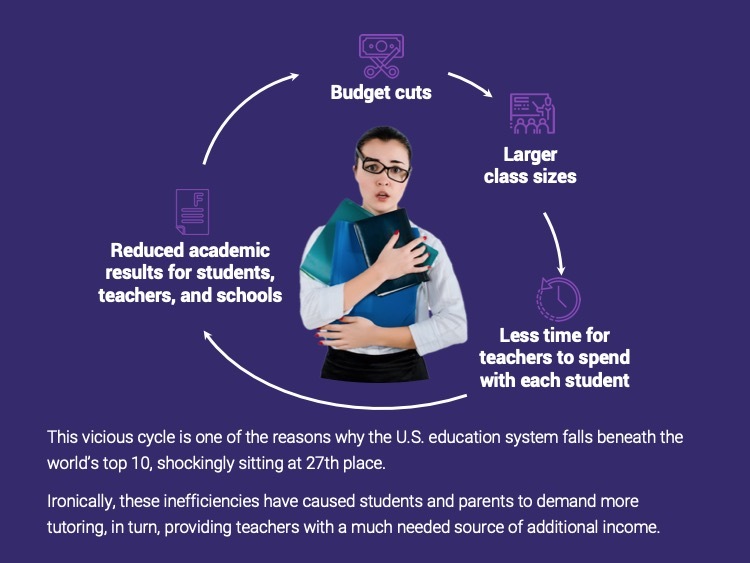 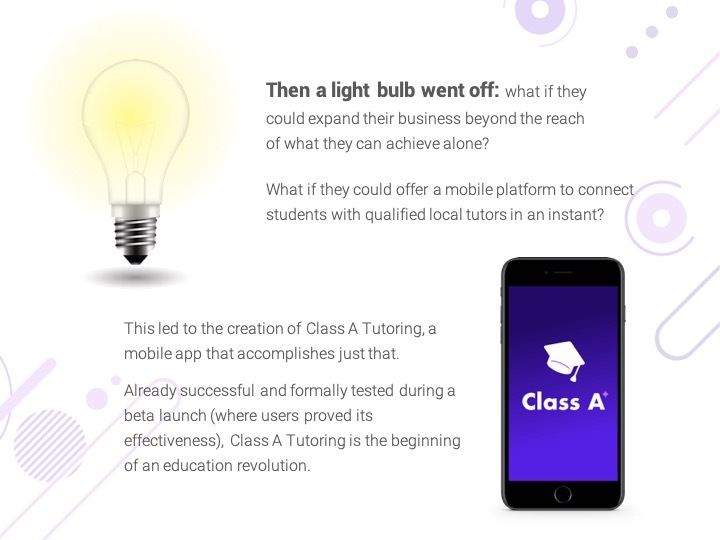 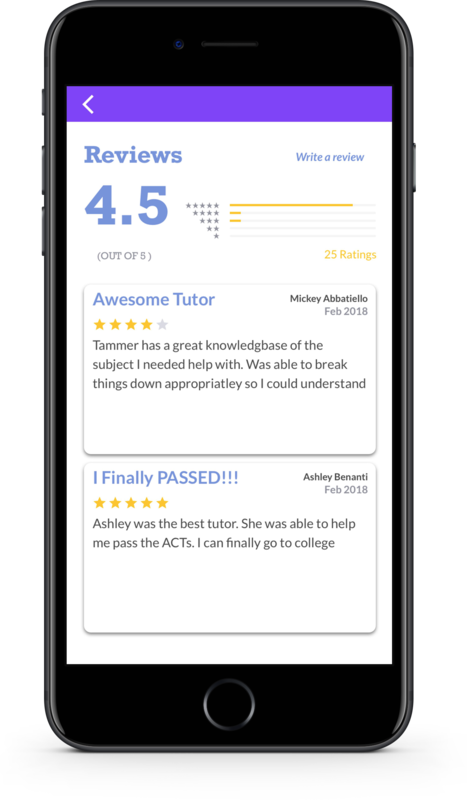 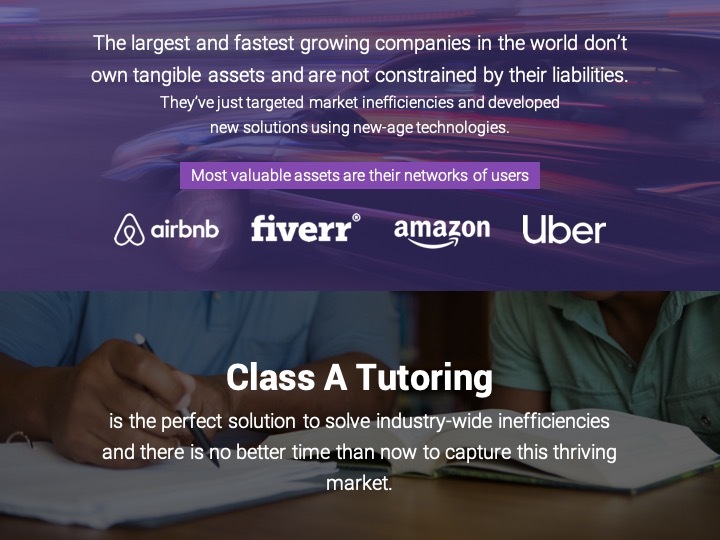 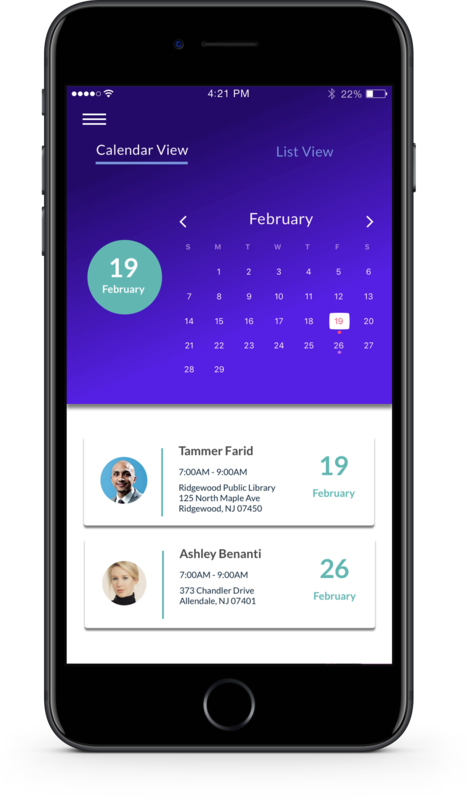 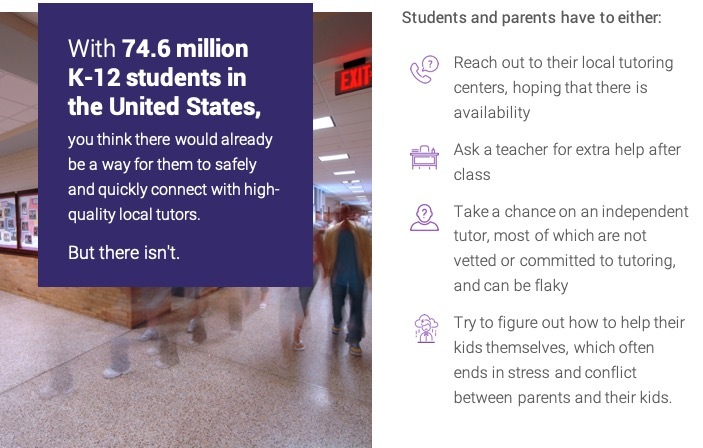 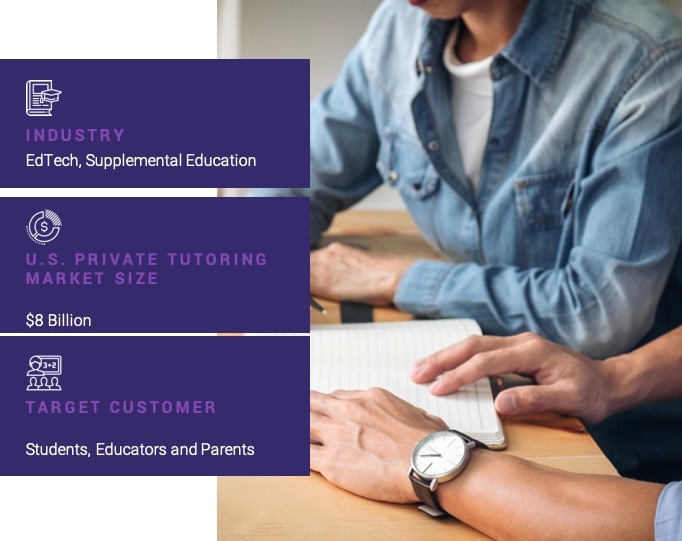 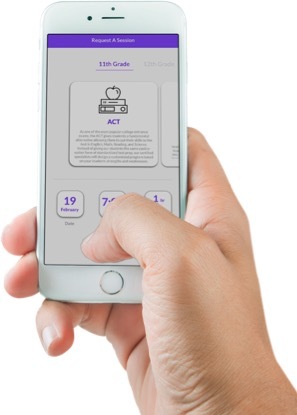 The Class A Tutoring mobile application is simple and uniquely addresses the issues that both of its target market users are experiencing. 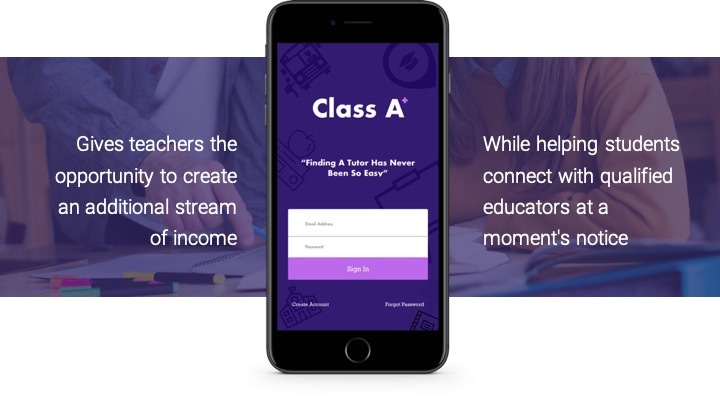 Allows students and parents to request sessions on-the-fly and only provides relevant options based on their needs. 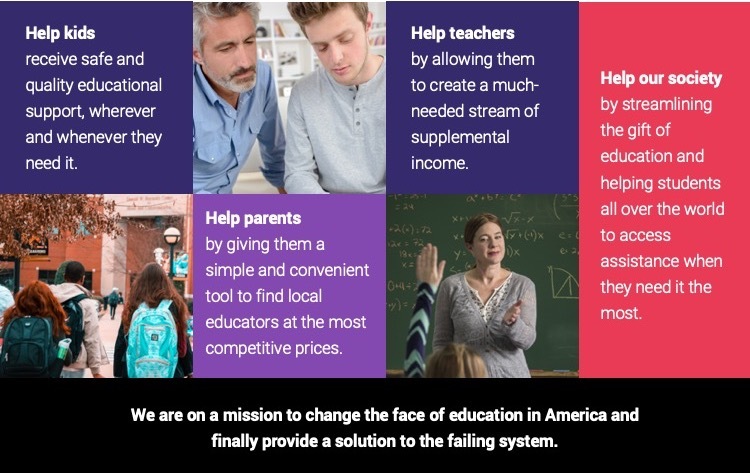 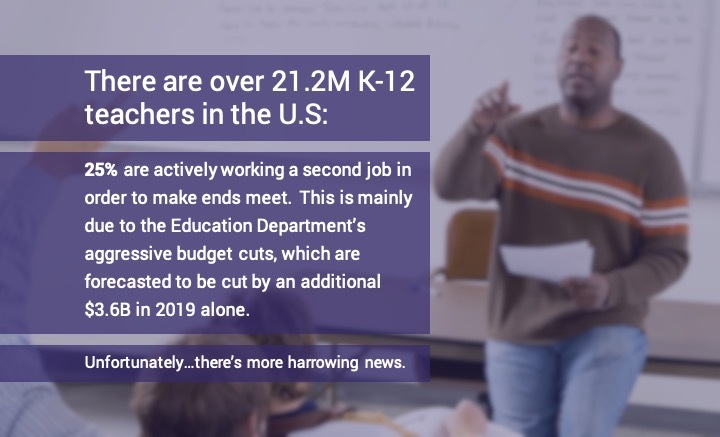 Pays educators at the highest rates in the industry, finally offering a much needed stream of supplemental income.